Armenian cuisine is considered one of the oldest in Asia and the oldest in the Transcaucasus. 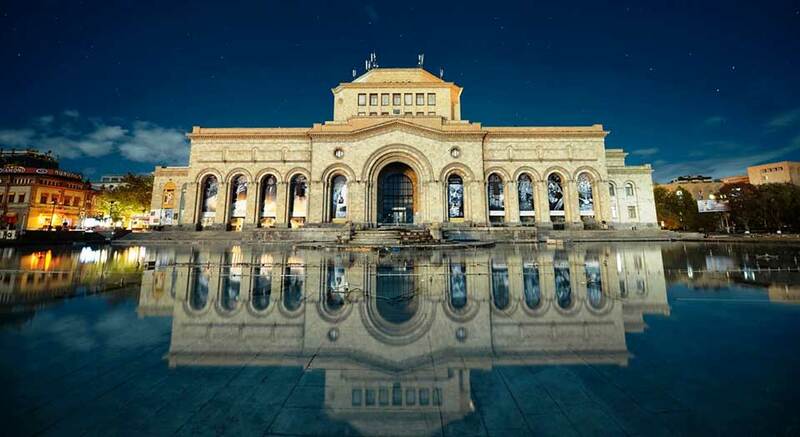 Its characteristic features were formed during the millennia BC enriched over the centuries, because the Armenians were moving from one place to another. Preparation of making Armenian dishes is often difficult and laborious. There are many varieties of dishes of minced meat, fish, stuffed vegetables, etc. They come from antiquity, for example, still popular dishes such as khorovats (barbecued meat) and byorek (dough stuffed with meat). 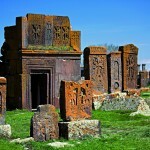 Armenians cooked these dishes almost nearly for 1500 years. For the preparation of Armenian meals, there is a need to use about 300 types of herbs and wild flowers using them as condiments or even staple. The climate and other geographical factors plat a great role in the quality and exceptional taste of the food in Armenia. The food is very nutritious. The festive table is usually so abundant with different dishes, salads and desserts that you can impress your guests. It is impossible to imagine an Armenian table without a bunch of cilantro, tarragon, parsley, dill, coriander, cardamine, basil, lemon balm and chives. 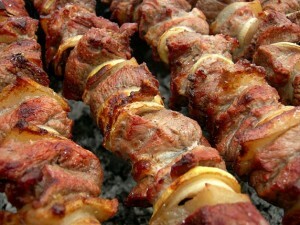 Armenians eat much meat, beef, pork, chicken, lamb and fish. 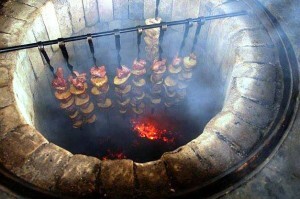 Often the meat is roasted on skewers in the fire of wood or tonir (underground oven), hence the special flavor of Armenian khorovats (the roast). Khorovats is usually served with grilled vegetables. It is the favorite dish of the Armenians. Khash is a typical dish prepared from cow’s legs. People usually eat garlic and dry lavash with it. 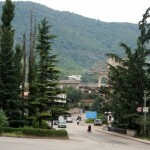 As the dish is very nutritious, khash is usually eaten in winter, early in the morning. Lavash – traditional bread, very thin, is prepared in the tonir (underground clay oven). Basturma – dried beef, wrapped in a thin layer of a chaman with cumin spice. Spas – yogurt soup with wheat. Fish – Armenians use sig (grayling) and ishkhán (priíncipe), wild trout from Lake Sevan. 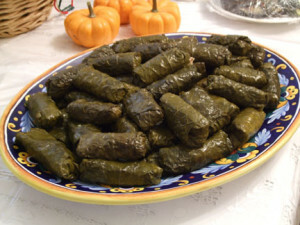 Dolma – minced meat mixed with rice in many varieties, wrapped in vine leaves, cabbage, or filling in tomatoes, eggplants, peppers (summer dolma). Lahmajo – Armenian pizza, a cookie covered with a thin layer of spicy meat (usually lamb). Khachapuri – puff pastry with cheese or meat. Armenians also like to eat Russian pelmenis, Georgian khinkali and several Arabic dishes Arabs. In Armenia one can find many kinds of sweet fruit: apricot, pomegranate, apple, pear, grape, cherry, peach, plum, quince, fig, melon, watermelon, cornices, black and white mulberry, strawberry, raspberry, blueberry, blackberry, rosehip and much more. 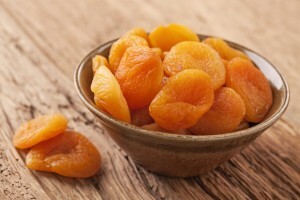 Apricot certainly is much more for Armenians than just a fruit. 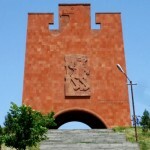 It also symbolizes the lower band of the Armenian tricolor (red, blue, apricot color). One cannot imagine Armenian dessert without tasty dried fruit (chir), unripe fruits and raisin, which are usually made of apple, plum (shelor), peach, grape and, of course, apricot (tsiran). 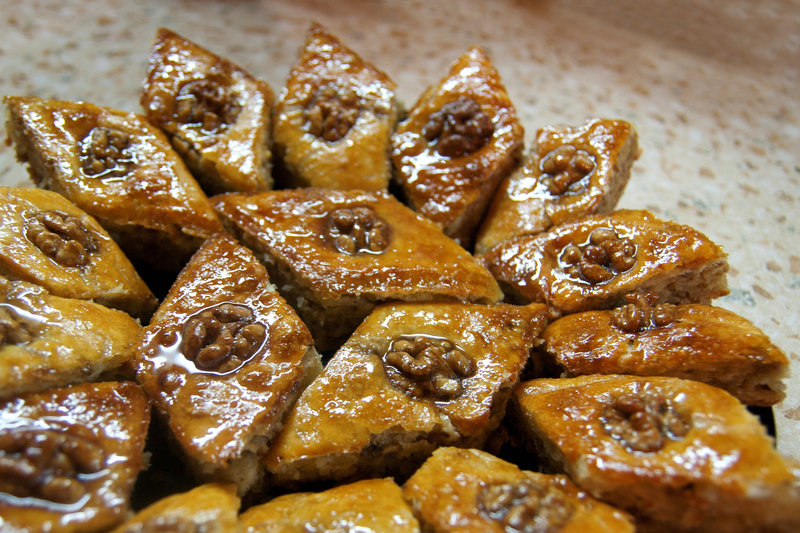 There is a wide choice of ice cream and cakes, among which traditional cakes gata (dough stuffed with mixture of butter and sugar) and pakhlava (puff pastry with honey and nuts) enjoy high reputation. Usually Eastern coffee concludes the meal, sometimes replaced by infusions of thyme, peppermint or rose hips.